Raven is a small-sized adult gaming group that strives to maintain a fun, light-hearted environment as we support each other in achieving our goals. We understand that everyone has real-life obligations, and we respect that. Because of this we are best described as casual, however we are not a group that should be underestimated. There is a lot of experience, skill, teamwork, and overall enjoyment to be found here. Because of the positive qualities each member brings to the table, we have developed a community that is not only effective but also drama-free, rewarding, and just plain fun. 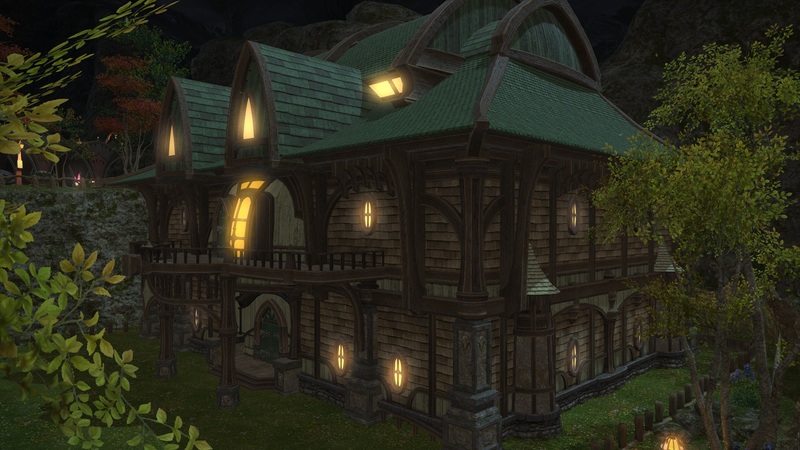 August 2015 Status - The Free Company in FFXIV is pretty busy between having numerous new recruits, players reaching 60 and getting geared, and our new Raid Team working on Oppressor in A1 Savage. We also have at least one person at 60 in each crafting & gathering job, and have two company airships running missions. Everyone has been doing a great job contributing towards the FC's growth. A few things are happening in early access games - Corbin leads a clan in H1Z1, a handful of community members are trying out Savage Lands, and there's about to be another HUGE update in Starbound. Post or seek out Jemy, Fantome, or Corbin to learn more if you want to team up for any of these games, or if you're new to Raven then just submit an application! Non-MMO multiplayer game nights (including Cards Against Humanity) have been happening lately, but not on a schedule. Stay tuned to in-game chats, Steam statuses, and Ventrilo to find out what everyone's up to. Sep 10 2014 Our Mansion! Donate to fund the Website and Ventrilo! Please help the Officers pay Raven's bills. A donation as small as a few dollars can be a big help. You can either use the button below to donate directly, or check out the link under "Raven Gear" where you can buy various items with our logo. The proceeds go towards the site and vent.